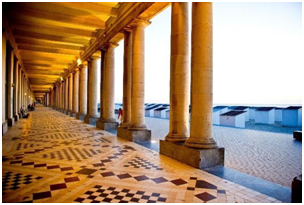 Ostend has a rich past. King Leopold II, the famous painter James Ensor and the soul icon Marvin Gaye were all inspired by the magic of the City by the Sea. The authentic architecture, the dazzling nightlife, the fine port, the many shops and the wide range of events make the city truly irresistible. In addition to all these aspects the European City of Sport 2017 also offers all kinds of sports for all age groups. No less than 1 in 3 residents are active in one or more of the over 170 different Ostend sport associations. In many sports disciplines it can boast of teams and athletes which belong to the international top. Thanks to its location by the sea and its open-air infrastructures Ostend hosts many sports events. 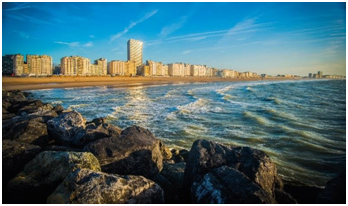 Ostend has a maritime temperate climate, influenced by winds from the North Sea, making summers cooler than inland Europe. How to reach our venue? Conference rooms for meetings, classification, accreditation, press etc. Plenty of choice: in total five food and beverage outlets at your disposal. From a quick snack to culinary delights, all chefs Vayamundo are at your service. The registered athletes and staff receive a wristband which gives access to the restaurant ! You can use free wireless internet. Ask the receptionists and become the code to log into the network. The hotel Vayamundo has a family friendly, heated swimming pool. Sauna and Jacuzzi make the Wellness experience complete. Dinner (self-service restaurant) from 05.45PM until 08.45PM. A single additional charge is € 20 per person and per night. Reservations will be done directly with the Isomundo secretariat and filled upon basis of availability. 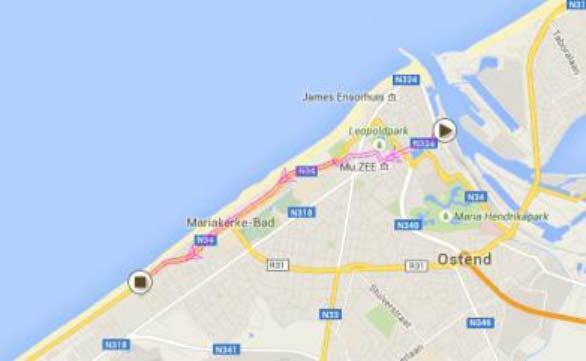 The road race will take place in the streets of Mariakerke (Ostend) with the start/finish in the Nieuwpoortse steenweg. This quick circuit will occur on a safe way in perfect conditions. 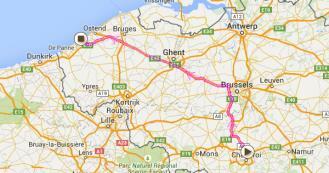 ​The team relay race will take place in the streets of Mariakerke (Ostend). Start/finish in the Nieuwpoortse steenweg at length of the number 569. The race permanence is located in the Holiday Club Vayamundo, Official Hotel. Opening hours: from 07:30am - 09:00pm each day. The Accreditation Centre will take place in the Holiday Club Vayamundo, Official Hotel. All team accreditations will need to be collected from the Accreditation Centre. The accreditations will be available as per the official team lists only. Accreditations will be delivered at the Holiday Club Vayamundo, Isomundo permanence office, from 14 May to 16 May 2019. Press accreditation can be refused. The UCI online registration begins on (date) 5 weeks before the event 12:00=(GMT+1) and closes (date) 3 weeks before the event. The maximum number of participants per nation in each event will be six per sport class. The registration dates are available on the UCI website https://www.uci.org/docs/default-source/2019-uci-paracycling-track-world-championships/2019- para-cycling-registration-dates.pdf?sfvrsn=ddf4f87d_14 . The registration fee is € 75,00 per accredited person. Refunds cannot be done for athletes who did not complete the registration form. Only the National teams that have paid the registration fee within the deadline will receive their accreditation passes and be able to take part in the competition. The UCI and the Organizer Committee will not be held responsible if you or your team misses the return flight due to delays in the program. Medical care for entrants is the responsibility of the organiser during the event at the event site and within the confines of the race routes. However, any other costs incurred should there be illness or injury including patient transportation by either road or air as well as admission costs to emergency units / hospitals are the responsibility of the federation or the athlete. In the event that costs for medical care cannot be funded by the patient’s medical aid, these funds will be paid by the patient in his/her private capacity. Classification controls will take place at Holiday Club Vayamundo, Official Hotel. Athletes are requested to come at the classification with their bicycle, cycling clothes and medical documents. The detailed classification schedule will be published on the UCI website (www.uci.ch) three weeks before the event. 15 May 2019 17:00-18:00 Holiday Club Vayamundo. Will be followed by a drink. Will take place in the Holiday Club Vayamundo, Official Hotel. The athletes must go to the checking area by their own means of transport, though they must be accompanied by a representative of the organisation who will take care of them in the arrival area. 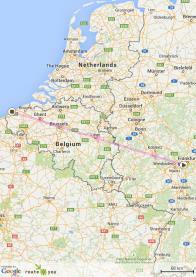 Each federation is responsible for obtaining the necessary documentation to gain entry into Belgium. 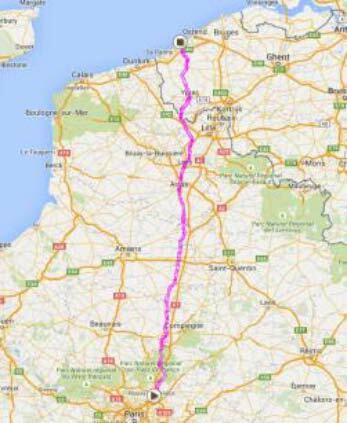 Every person seeking to enter Belgium must be in possession of a valid passport for travel to Belgium and, where necessary, a visa. Enquiries can be directed to Belgium diplomatic representatives abroad or the Department of Home Affairs in Brussels. Visitors who intend traveling to Belgium's neighbouring countries and back into Belgium are advised to apply for multiple entry visas. 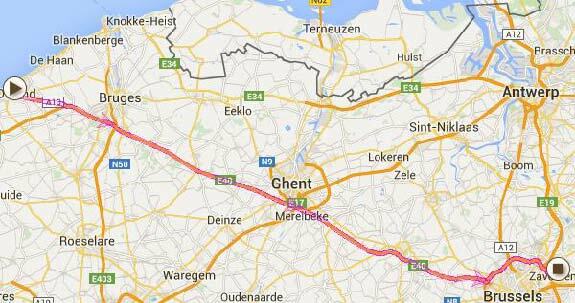 Visas are not issued on arrival at Belgium ports of entry. Proof of financial means; and A return / onward ticket. For those riders that require support documentation from the organisers to make their visa applications, this can be arranged and Wim Decleir from Isomundo (Ambassador) can assist with this and he can be contacted at secretariat@isomundo.com.